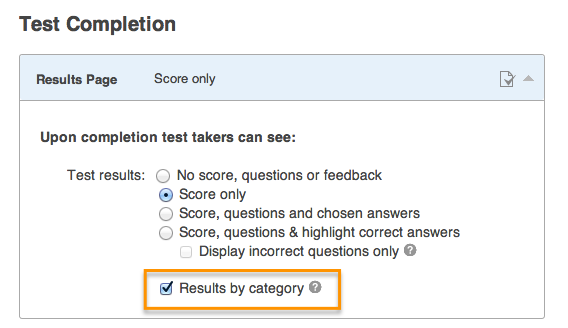 This latest release improves upon the 'Enhanced Category Results' announcement made in April by allowing test takers to view the same enhanced statistics as their test administrators. With detailed tests and questions categorization, test takers can now more efficiently analyze Results and identify problem areas for self study upon completion of their online quizzes. The additional functionality works alongside ClassMarker's existing online reporting features, which allow our users to view results by Test, by User Group, by Question and by Individual test taker.